Do you want to know the secret to prosperity? There is one bible verse that would urge you to put the Lord to the test. Yes, that is quite amazing and unbelievable. We often hear the admonition, "Do not put the Lord to the test." But in Malachi 3:10-12, the Lord Himself will tell you to put Him to the test. Years ago, I did. And it had never failed to give back the result He had promised. And if you doubt these words because, perhaps, the Book of Malachi is not in your bible, then I urge you to use a Catholic Bible for reference or read Luke 6:38. Here, Jesus would admonish you not just to give 10% but even more! Today is Giving Tuesday. After Black Friday and Cyber Monday shopping spree, certainly you could spare some money to those who are in need, right? If you’re not sure where to give, here are three fundraising campaigns that may inspire you. I've chosen these three because even a small amount could make a big difference. They are in need of whatever support you can give. I heard about Angelo's story when his wife Maribel, a former college roommate of mine reached out to me. Our group of friends brainstormed as to how we could help them. 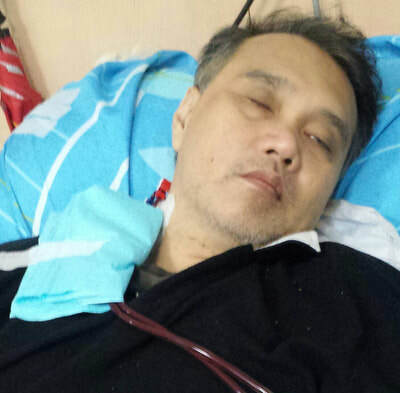 Our short-term goal was to get Angelo back to health with a working fistula and regular dialysis treatment, so as to enable him to find work or source of income. I encouraged the couple to launch a fundraiser that we can help support and promote. ​ Recently, I submitted an entry for #MyGivingStory and campaigned for Redemption Song Foundation (RSF). Wendee Nicole, a fellow Texan, who founded RSF in 2014 is a source of great inspiration. Her passion, zeal and dedication had made a tangible impact in the lives of this displaced indigenous community by meeting their basic needs of food, water, education, and livelihood programs. Now, they need to raise $50,000 to buy land and build a new school building for Hope Stone Academy. 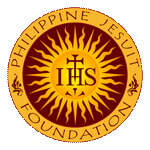 Whenever I want to give back to my country of birth, the Philippines, I usually channel it through the Philippine Jesuit Foundation. I know my money will go to the hands of those who directly serve the community, whether it's to support rescue and rehabilitation efforts in times of calamities through the Tanging Yaman Foundation, to fund volunteer efforts of the Jesuit Volunteer Philippines, to support prison and education ministry or simply to care for the elderly and infirm Jesuits. I hope #GivingTuesday will start the good habit of giving in your life. You'll soon realize the value of this practice and reap its benefits because God can never be outdone in generosity.